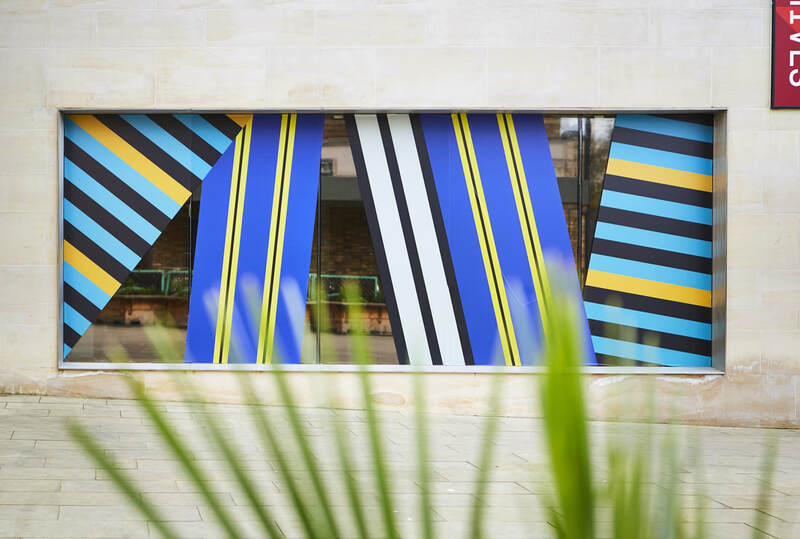 Skellon Studio designed Family Ties: The Adamah Papers with graphic designers Seeing Things. 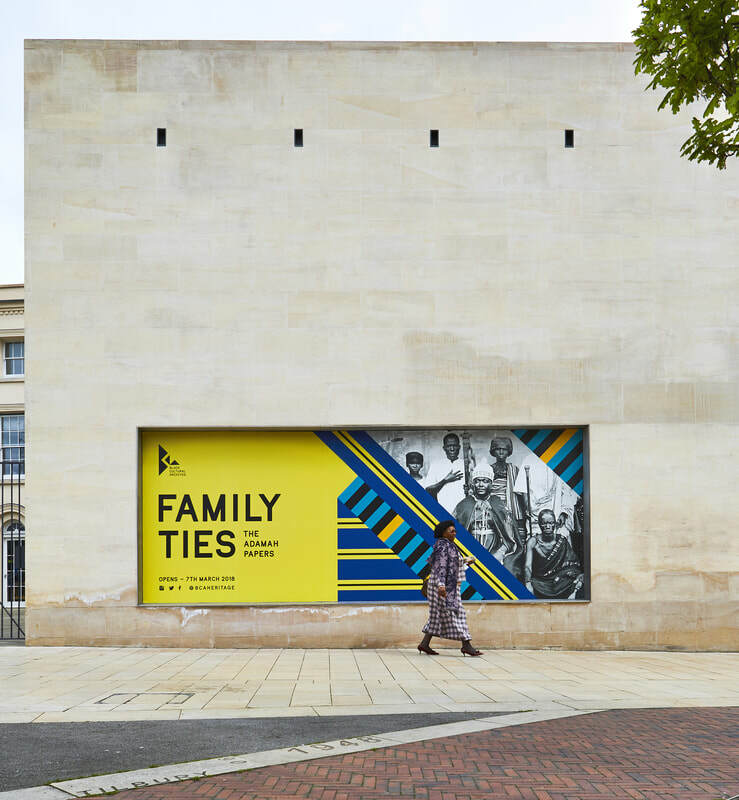 The exhibition tells the story of the discovery of a cache of royal papers that unbeknownst to them was part of the family story of a British Ghanaian family, the Adamahs. 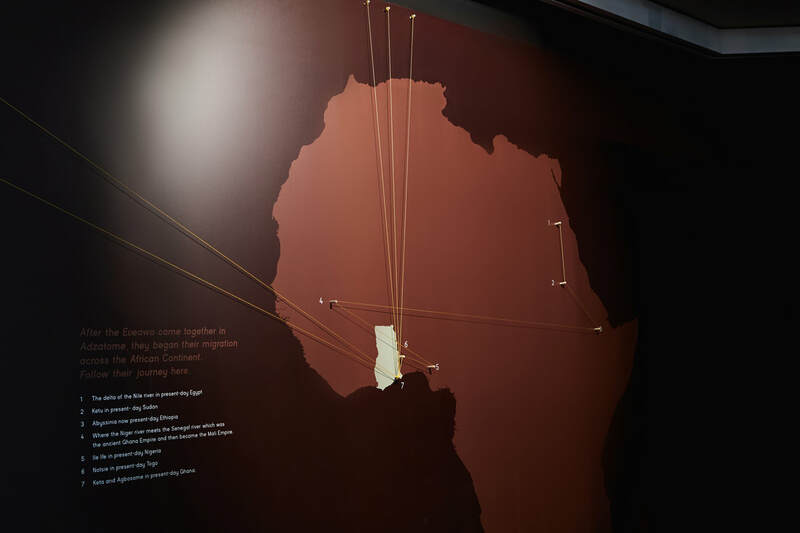 It uses the papers as a route back into the history of the Ewe people – first to the time of King Togbui, the Adamah's ancestor, and then to the time of the Hogbetsotso, a founding story of the Ewe people, about their escape from tyranny and their exodus to the region that is now Ghana and Togo. 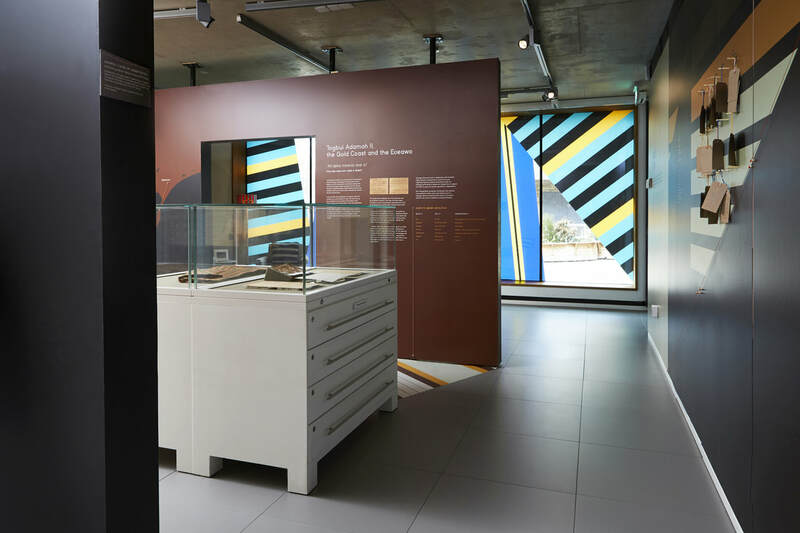 We divided the space to create three rooms that corresponded to the three eras of the story, moving from contemporary London through to the past. 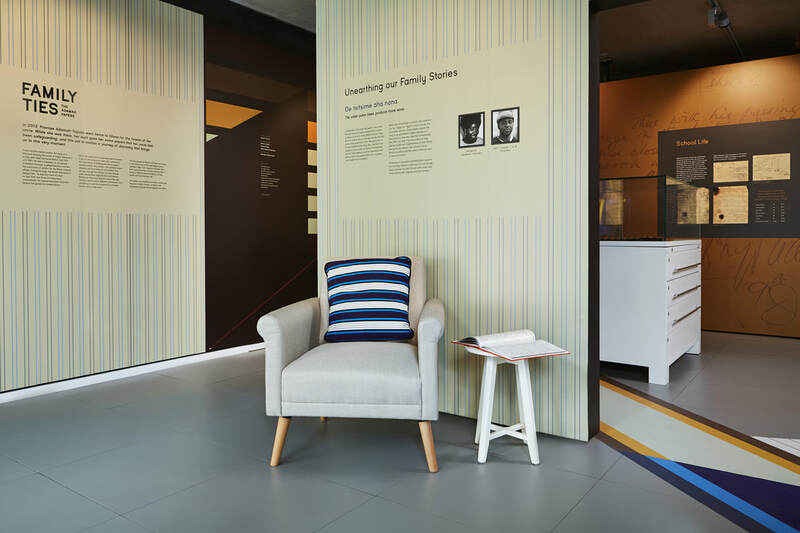 The first zone is designed to look like a contemporary living room, with the family tree of the Adamah Family and the discovery of the papers. In the second space, the papers themselves are on display and interpreted. 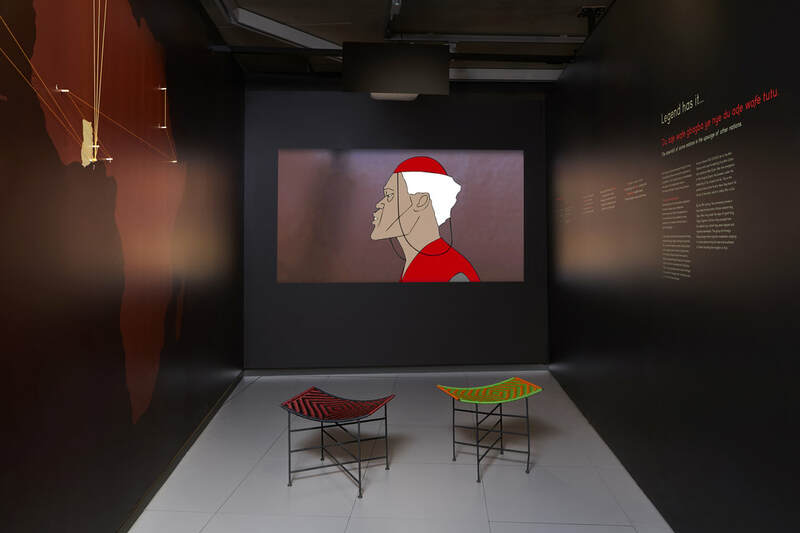 In the final space, a video shows the story of the Hogbetsotso and maps the exodus of the Ewe people. 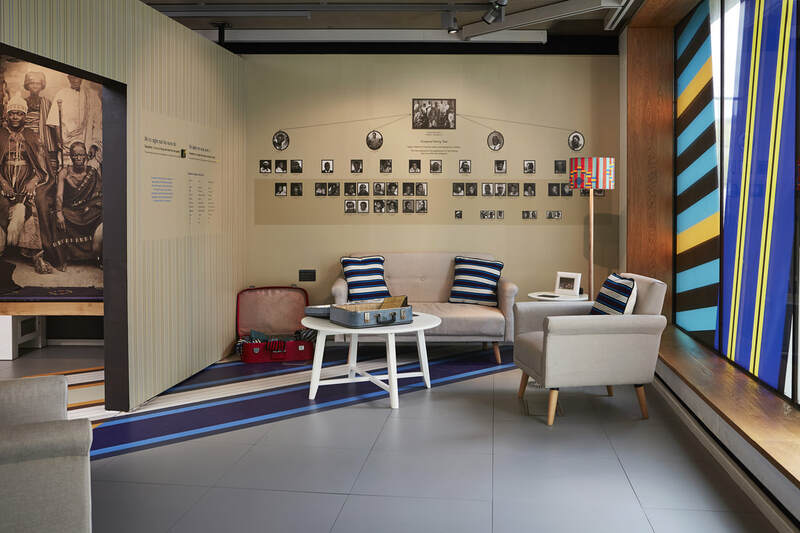 Through the exhibition, the motifs of textile, genealogical connections, writing and mapping are woven together using pins and thread attached to the graphical wallpaper, which draws on traditional Ewe designs. 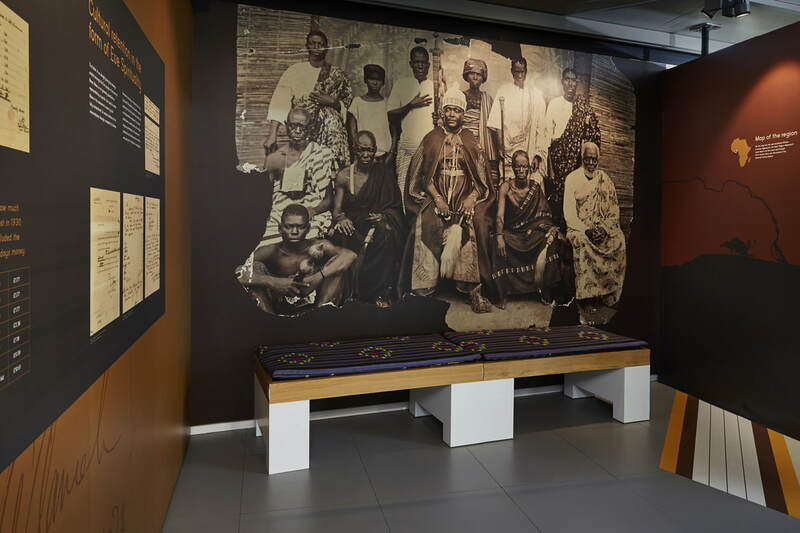 The oral history of the Ewe people is asserted through the use of audio readings of the Adamah papers, and Ewe music plays throughout.